Applies only to purchase of a full price, virtual Citrix class seat. 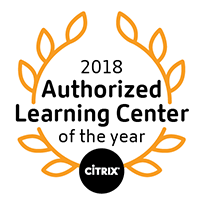 Applies only to Layer8 Citrix classes purchased before June 1, 2019. Purchase must be made directly with Layer8 Training. Purchases made through any third party (including Citrix Systems) are not eligible for offer. Citrix Training Voucher students are not eligible for offer. Promotion only applies to new purchases. Customer must request offer at the time of purchase. Offer will be fulfilled to the student in the form of a gift certificate or discount. This offer may not be combined with any other offers or discounts. Call 888-504-8872 with any questions or requests. We will be happy to help you navigate your training needs. Enroll in a class today and claim your gift!